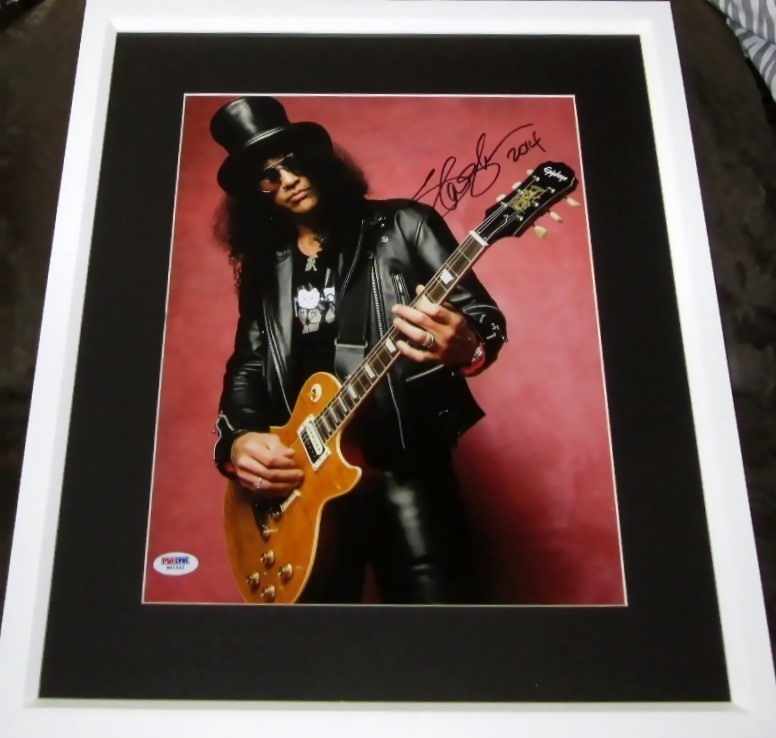 11x14 inch playing guitar photo autographed and dated 2014 by legendary Guns N' Roses guitarist Slash, authenticated by PSA/DNA with their numbered sticker on the photo and certificate of authenticity from AutographsForSale.com. 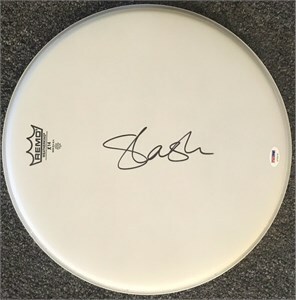 An inscription above his signature has been mostly removed leaving a trace visible only upon close inspection. Professionally matted in black and framed with glass in white wood, ready to hang. Framed size is about 16 1/2 by 19 inches. ONLY ONE AVAILABLE FOR SALE.